"We’re planning on our rebirth. " - Charlie Abowd, co-owner of Café at Adele’s after the legendary Carson City restaurant was shut down recently because of a back of the house fire and smoke damage. It may be months before the restaurant is able to reopen.Friday, April 12, 2019. "The ability of that being there worries me. " - State Senator Scott Hammond, District 18 talking about the death with dignity bill, that he opposes. He is concerned that someone who has been given the drugs could fall prey to a person spiking their water, for example and yet the way the law is currently written the medical examiner would list the original illness as the cause of death. He admits that there has been no reported case of this occurring in any state where death with dignity is in effect.Thursday, April 11, 2019. - Don Tatro, Executive Director, Builders Association of Northern Nevada who says construction defects legislation is the number one issue for his members. This will be a tough fight for the construction industry.Wednesday, April 10, 2019. "There is resurrection in this process. " - Assemblywoman Alexis Hansen, District 32 referring to the fact that though a lot of bills will die this week that doesn’t mean they can’t come back later in the Legislative session.Tuesday, April 9, 2019. "The thing that keeps me up at night is that they figure out that Jill Tolles and Heidi Gansert would be really good candidates for statewide office and if they don’t figure that out, I’ll have a good day." - Alex Goff, Democratic Party National Committeeman saying that Nevada is still a purple state whether Republicans know it or not.Friday, April 5, 2019. "I couldn’t miss work. I had to get paid. Cos I can’t risk missing a day of work. Because I don’t get paid a lot." - Noemi Guigui, Advocate Time to Care, a group that is trying to get employees paid sick leave. Ms. Guigui says that missing a day’s pay equals a day of groceries or half her rent. She needed paid time off to take care of her mother, who was in the hospital.Thursday, April 4, 2019. "Unfortunately, the problems’ gotten worse"
- Dr. Ken Thorpe, Chairman of Partnership to Fight Chronic Disease says that currently 2 million Nevadans suffer from a chronic disease, up from 1.7 million two years ago.Wednesday, April 3, 2019. "They have no way to create revenue." - Assemblyman John Ellison, Co-Deputy Minority Leader says that the Federal Government is taking more and more land from the cities and counties, in Nevada. This is not only going to be a problem in the rural areas, it will eventually affect Clark County and Reno Sparks as well.Tuesday, April 2, 2019. "If the Governor really truly wanted to protect his interest, politically speaking, in rural Nevada, he wouldn’t have just pushed through a gun bill that was overwhelmingly opposed by the citizens of rural Nevada." - Nevada State Senator, Ira Hansen who says the gun bill was opposed by 5 to 1 in rural Nevada. 6 to 1 in some of the rural counties.Friday, March 29, 2019. "It’s been a wildly successful effort. " - State Senator Ben Kieckhefer, District 16 discussing his efforts and others to make Nevada a targeted, welcoming, economic development area for Blockchain technology firms.Thursday, March 28, 2019. "There’s a lot of people who have an opinion on this report that have never read the report." 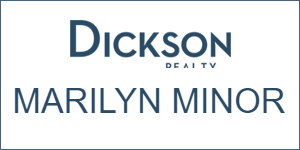 - Tray Abney, Managing Partner, Abney Tauchen Group referring to the limited information revealed from the Mueller report by Attorney General Bob Barr.Wednesday, March 27, 2019. "I think it’s a non-issue and we probably don’t need to spend any more time on it. " - State Senator Keith Pickard, District 20 responding to the limited information revealed from the Mueller report by Attorney General Bob Barr. The Senator feels there is no guilt that has been proven and therefore we should move on.Tuesday, March 26, 2019. "This is the raise we want, and this is how we get there. " 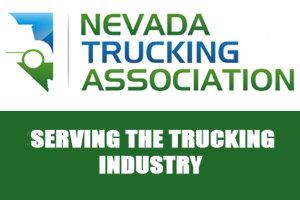 - Bryan Wachter, Senior Vice President of Retail Association of Nevada discusses AB277 that will move a lot more of the control over incentives to the bargaining groups versus the School Districts.Friday, March 22, 2019. "A lot of people are concerned. It may impact the wages and benefits in that region. " - State Senator Pete Goicoechea, District 19 referring to the memorandum of understanding for Barrick to join with Newmont in Nevada. 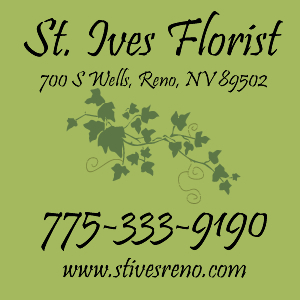 There is concern that quite a few mid-level management jobs could disappear especially in the Winnemucca and Battle Mountain areas.Thursday, March 21, 2019. "I think women’s healthcare is a bipartisan issue. " - Elisa Cafferata of Cafferata and Company who is working on getting family planning for low income women and a cleanup bill around the abortion issue, in Nevada.Wednesday, March 20, 2019. "In 40 years of experience that has not been the case. " - State Senator David Parks, District 7 referring to allegations that insurance companies would offer a suicide pill to a patient rather than offering an expensive treatment solution.Tuesday, March 19, 2019.